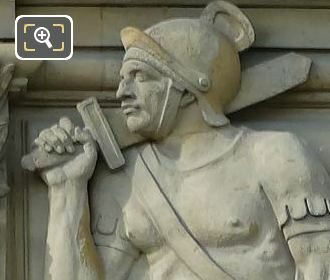 Again we were at the Musee du Louvre in the 1st Arrondissement of Paris, when we took these high definition photos showing a bas relief sculpture sometimes called Europe, which was sculpted by Camille Demesmay. 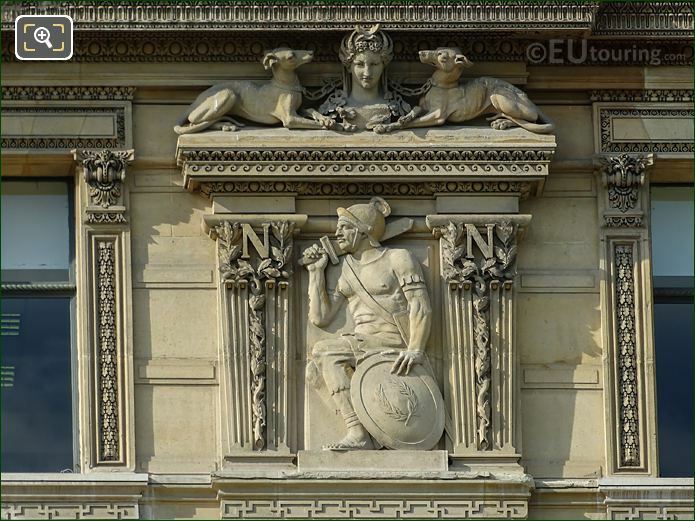 Located on the wing of the former Palais du Louvre called the Aile de Flore you will come across many different statues and bas reliefs and this particular one you can see in this HD photo is sometimes referred to as Europe, depicting an ancient warrior. 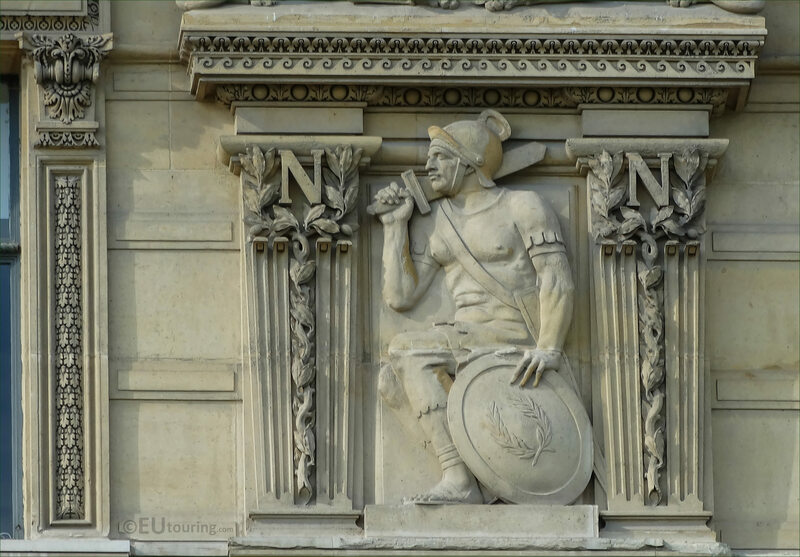 So when you are within the courtyard of The Louvre called the Cour du Carrousel you will see that this bas relief is positioned below the pediment on the third level of this wing, and when counting from the left hand side, it is located to the right hand side of the third window. Now this particular bas relief was produced by Camille Demesmay who was born in 1815 and initially studied law, but having a passion for art, he also studied sculpture at the same time, and even though he gained his law degree, Camille Demesmay decided to focus on sculpture, presenting his first works at the 1838 Salon for French artists. Camille Demesmay received many different public commissions including several for the Louvre Museum, along with portrait statues and busts of famous people that can be found at tourist attractions like the Luxembourg Gardens and the Chateau de Versailles.